Chicago’s motto is Urbs Horto, or City in a Garden. Given the amount of sprawl and environmental damage that’s occurred since its founding, I would find it hard to argue that Chicago is still a city in a garden. However, we can still have a garden in the city. Jason gardens in Evanston, Illinois (zone 5), about one mile from the border with Chicago. He lives with his spouse, Judy, and has two grown sons. Judy, seen below at the antiquities museum in Istanbul, is in charge of photographs, while Jason is in charge of plants. To contact us, write to Jasonbertkay@gmail.com. 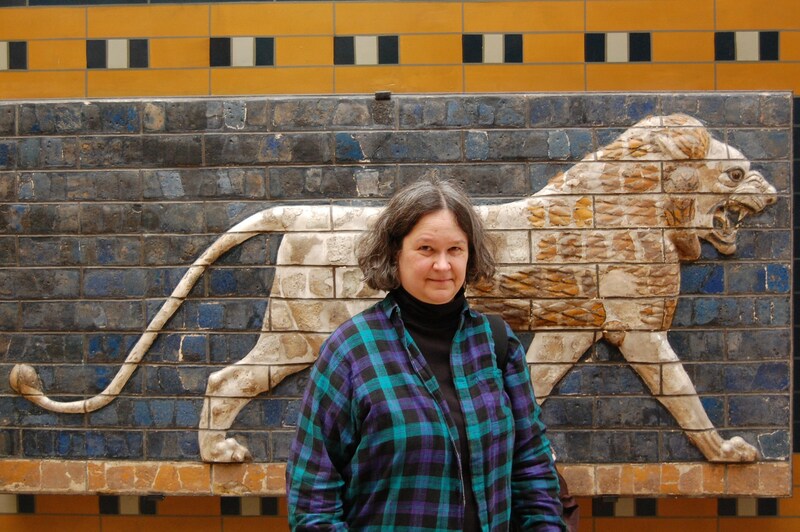 Judy with one of the Lions of the Ishtar Gate. Wonderful blog and beautiful pictures! Thank you for sharing your lovely garden. 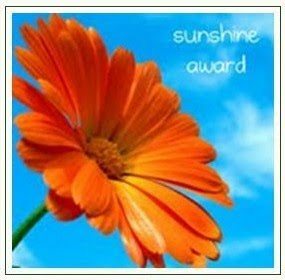 I nominated your blog for the Sunshine Award. It is up to you if you would like to accept it or not. No pressure. Just wanted to let you know that I enjoy blog and what a fabulous job you are doing! Take Care. I’ll take that as a compliment, and I appreciate it. I would like to accept, may be a few days before I can act on that, though. Thanks again! I certainly do enjoy your blog as well. Jason, thank you for commenting on my blog, post about autumn in Saint Petersburg! I hope your son after living here speaks Russian well. I’ve read your posts and love your blog. I will often read it. Hi Jason, thank you for visiting my blog, MulchMaid. In answer to your question about Cornus x ‘Eddie’s White Wonder’, it is a cross between the native Western dogwood, Cornus nuttallii, and the Eastern North American species, Cornus florida. We wanted to plant a Western dogwood, but they are prone to injury and disease, so not as good a choice in the garden as a tougher hybrid. 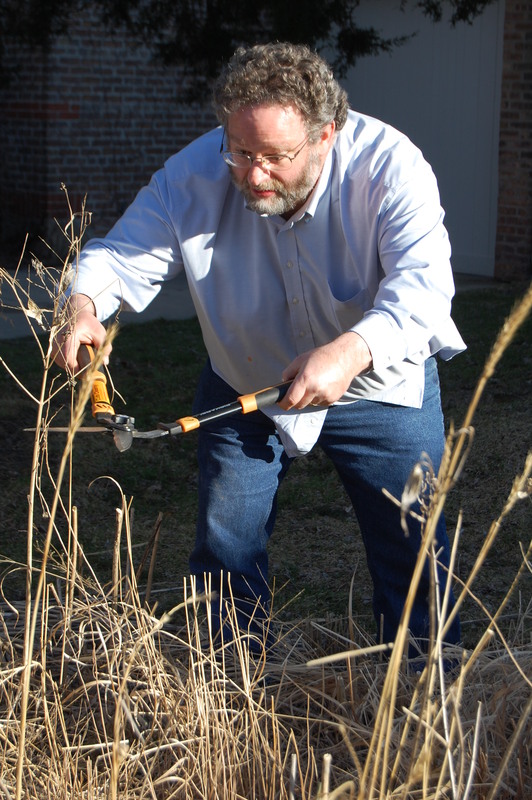 Ah now I remember where you garden, Jason — love that photo of you attacking the dead branches! San Jose, where I lived for many years, was originally known as the garden city. And accounts from the 19th Century attest to the truth of that – Now, well, not so much, but there are a lot of avid gardeners there. I have enjoyed wandering around your blog checking out older posts. You are growing a lot of the same plants I am, and you seem to have similar design and plant choice tastes, and all the same challenges too! How great that you got to go to Russia — I also spent a semester there in college, only it was called Leningrad then, it was the height of the cold war, and it was 43 years ago! Your son is having an amazing experience I am sure. Don’t worry about it. So glad you enjoyed the blog. Would have been very interesting to be there in the 1970s, very different in some ways, perhaps not in others? Jason, I just happened upon your blog. Very cool! I’m jealous. But, you provide me with inspiration! Hello Jason and Judy! Thanks for paying a visit to my blog recently and for leaving such a nice comment. Thanks! I have been strolling around a bit on your blog and it was a very pleasant adventure. Your garden(and house, love those wooden American houses) is beautiful. In our family I’m the one in charge of garden and photography, love both, my husband has biking as his number one hobby. Glad you enjoyed our blog! Looking forward to your next post! Well, I could get lost in your blog since I am new to to, but I have so much catching up to do on my own. I will stop by as often as I can! I have a lot of new challenges back in Missouri now and it helps to view all the public gardens you have toured. Thanks for the inspiration! Thanks for following my blog! I am glad to find yours as well. I lived in Chicago for about six years and loved it dearly. I didn’t have a patch of earth for my own then, but I had quite the setup in my grand apartment closet. You’re welcome! And by the way, I miss Henry Mitchell too. Did you also read Allen Lacy? I actually met him in cyberspace and did a little interview which I posted a few weeks back. I have not read much Allen Lacy. I will look for your interview, and add a few of Lacy’s titles to my summer reading list. Thanks for the tip! I loved your garden and thanks for all the information and wonderful pictures. I live in Brampton, Ontario and try to build my own garden. I am originally from Turkey and I liked Judy’s photo in Istanbul. Take care and please carry on, beaitiful work. Hi Nilay. Thanks for writing. Judy and I loved our time in Turkey, we are only sad we saw so little of the country – spending all our time in Istanbul and Selcuk. There is so much to see! Thank you, I am happy that you liked your visit in Turkey. There are lots of places worth seeing, I hope you will go again. Your blog inspires me about flowers and nature. I will keep on following you. Thank you again. I think your mystery shrub might be a mock orange. I have one, too, that is not fragrant. Such a shame we don’t have a fragrant one. Thanks for dropping by. Happy to see another zone 5 blog. Love your photos and captions. Found you through http://www.maydreamsgardens.com. Jason, thank you for the follow. I found you through the Garden Bloggers Fling on Facebook and followed you back to your blog. Love your work and look forward to reading more. And I hope to go to the Fling this coming year in Toronto. I’ll look forward to meeting you there! Good to meet a fellow Illinoia-lol! I just read your about page-my husband and I grew up in the Chicago suburbs but moved to the Quad Cities ( a bit west of you on the Mississippi) and raised our 3 kids here:-) Both of our families are from that area + I was born at Evanston Hospital,+ grandparents lived there + MISS Lake Michigan–will enjoy reading your blog of your garden+ photos you and your wife share:-) I don’t find too many blogs of people growing in zone 5! There aren’t a lot of garden bloggers in Illinois, or the Midwest generally. At least not compared to the concentrations in Texas, California, and the Pacific Northwest. I am very familiar with the Quad Cities – have been there many times for my job. It is nice to meet another garden blogger in the same general area, so the pleasure is mutual. Felicitations pour votre site que je découvre aujourd’hui! Was internet spelunking to see if I could find out what caterpillar calls Mertensia v. a host plant. No luck so far but I was side tracked by your blog. I also garden in IL, in my case Aurora, which is way southwest of you. I ripped out and redid my front yard in 2013. My goal was to stop traffic and enhance the curb appeal so if I sell, it will stand out. I’m extremely pleased, tho cursing bindweed and quackgrass. I’ve also modified the landscape design because they NEVER USE ENOUGH PLANTS! Anyway, enjoyed your observations and want to extend an invitation to the Plant Sale on 05/16/2015 in Aurora IL from 8am until noon. It’s down by the transportation Round House in downtown Aurora on Rt 25/Broadway. Traffic seems to increase every year, I think there were at least a hundred rabid plant fanatics there last year! Thanks so much for the invitation. Unfortunately at this time of year I am out of town about five days a week and have very little time at home, so I don’t go to many events. Sounds like something I would really like, though – maybe another year I can attend. Hi Jason. 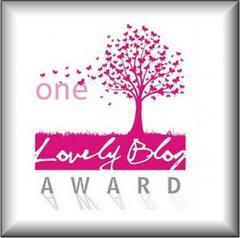 I’m not sure how you feel about blog awards, but I’ve nominated you for the Liebster Award. I truly enjoy your work and your world. Details can be found here: http://wp.me/p1w6cN-226. Where can you buy the Cassie rose in UK? Hello John. I’m really not sure. Maybe check with the RHS or Rose Society? This looks like an interesting blog, I will be following. Come spring, I am hoping to get my yard in better shape and make it as bee and butterfly friendly as possible. Take care! I’ve just been introduced to your blog, so your review of Salman Rushdie’s The Moor’s Last Sigh” is the first thing I have read. I have to tell you that perhaps you have missed your calling as a literary reviewer. It will be my next read, and thank you! You’re welcome! You wouldn’t have any leads on people who would pay me to write literary reviews? I enjoyed reading your blog which I discovered today, and as a gardener on the other side of the world, I’d like to follow and read more. Pleased to meet you! I’ll take a look at your blog as well.